This week we take a look at the new episode of 'Over The Top' from VideoInk who are joined by Rich Antoniello from Complex Network. Buzzfeed are cutting jobs but want to restructure their business. YouTube pulls ads on 2 million inappropriate children's videos and announce their new stories feature 'Reels'. HQ Trivia continues to grow plus lots more! The guests for our panel 'Beyond OTT: Delighting the Audience!' at next week's TV of Tomorrow in New York have been announced and you can still get tickets here. In this episode of 'Over The Top' Jocelyn, Dermot are joined by Rich Antoniello, who led Complex's sales team in its infancy, ultimately running revenue and serving as CEO through an accelerated growth phase for the brand as it shifted from magazine, to digital, to live events and to operating multiple brands across all platforms. 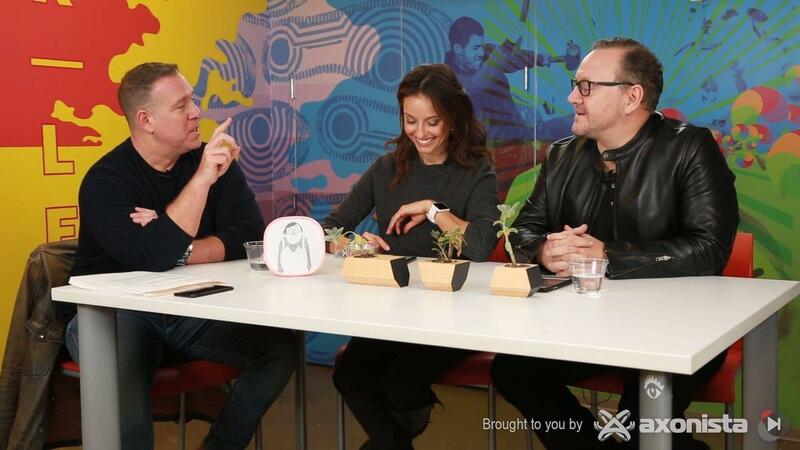 Jocelyn, Dermot and Rich discuss the future of media companies, content distribution and the revenue models for video and entertainment-based media companies with bold statements in the mix too. BuzzFeed is laying off about 100 employees in the US and restructuring its advertising sales operation. The layoffs come during a tough time in the broader digital media arena, where Google and Facebook dominate ad dollars. BuzzFeed aims to diversify its revenue model away from direct sold advertising and to continue expanding its programmatic advertising, commerce, and TV revenue streams. At Rerun, we think similar companies dealing with the shortage of ad dollars will be eagerly watching if this reshuffle will be successful. As BuzzFeed has always been considered an industry leader in online news and entertainment. "As our strategy evolves, we need to evolve our organization, too — particularly our Business team, which was built to support direct sold advertising but will need to bring in different, more diverse expertise to support these new lines of business," Peretti said in the email. "Unfortunately, this means we have to say goodbye to some talented colleagues whose work has helped us tremendously." This is written by a jaded and cynical F1 fan so take it with a pinch of salt, but it does raise some interesting questions about the future of sports broadcasting. Graphically, the F1 game is approaching photo-realism. The esports players are using realistic high-tech rigs, and in some cases, they go on to get hired as simulator test drivers by F1 teams. There is an indisputable level of skill involved. So if the virtual thing becomes as realistic and entertaining as the real thing, or even more so, what does that mean for the future of sports broadcasting? At what point do esports crack the 'mainstream'? (If they even need to is another question entirely...) McLaren Honda driver Fernando Alonso evidently thinks there's something there, as he's just announced the launch of his esports team in partnership with Logitech. We're still hearing about the magnitude of YouTube's failure to provide a safe viewing environment from inappropriate content for children. In the latest revelation, the auto complete search function on YouTube had been suggesting content with pedophiliac terms; for example, when a user searched something like "how to," the autocomplete generator suggested obscene content in some cases. YouTube has removed more than 270 accounts and over 150,000 videos from its platform, and switched off commenting on 625,000 videos targeted by child predators, according to Vice News. Advertising partners including Adidas, Deutsche Bank, Cadbury, and Hewlett-Packard have frozen advertising on the platform after finding their ads were being played alongside abusive content. HQ Trivia continues to grow! The average broadcast is now reaching ~200k players and continues to keep us all coming back for more. It's also worth noting that right now this is just on iOS, an Android version is 'coming soon', which could easily see HQ's viewership double or more. 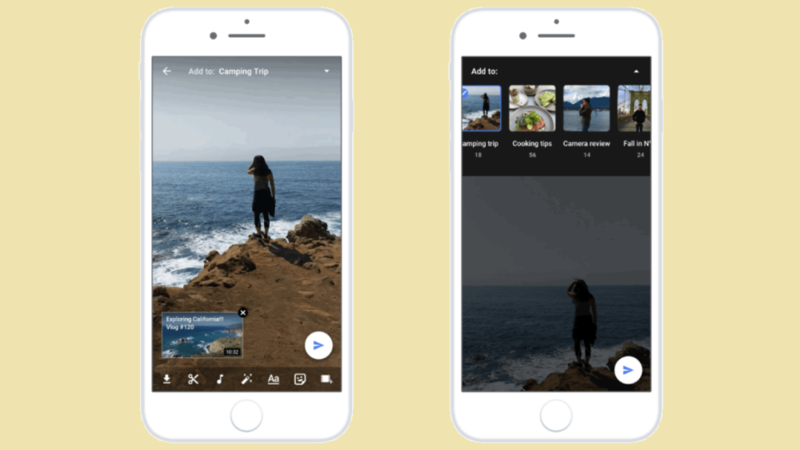 The popular format introduced by Snapchat, then adopted by Instagram, Skype, Facebook, Messenger and even some dating apps, is now making its way to YouTube as a new feature. The company is calling it “Reels.” Reels is YouTube’s spin on Stories but it will not be an exact copy as Stories. . Reels will appear in a brand-new tab on a creator’s channel. Unlike Stories on other platforms, YouTube creators can make multiple Reels and they won’t expire. Reels are going to be posted to a separate tab on the creator’s channel, similar to Community itself, which thankfully from a viewer stand point means they could choose to go watch these new videos or not. If you read one article on Snapchat this week, make it this one. It's written by the co-founder and CEO of Snapchat itself, Evan Spiegel, and it's probably the most insight into the company's strategy you're ever going to get. The reason for this is that it paints the bigger picture for the upcoming redesign and its separation of social from media. Snapchat is doubling down on the original position that helped it become such a success--being an escape from social media, free from judgement. All media content will be separated and tailored to your personal interests, not those of your friends or a wider network. Snapchat believes that this will foster a closer and more honest relationship between media companies and their audiences. A potential indicator of a future revenue stream for Snapchat came this week in the form of object recognition filters. The app can now surface relevant filters depending on what you're pointing your camera at. We reckon it won't be long before sponsored filters start appearing here, and perhaps even a Pokémon Go style campaign. Getting kids excited about learning isn’t easy, especially when the little glowing rectangle in their pockets provides endless distractions. 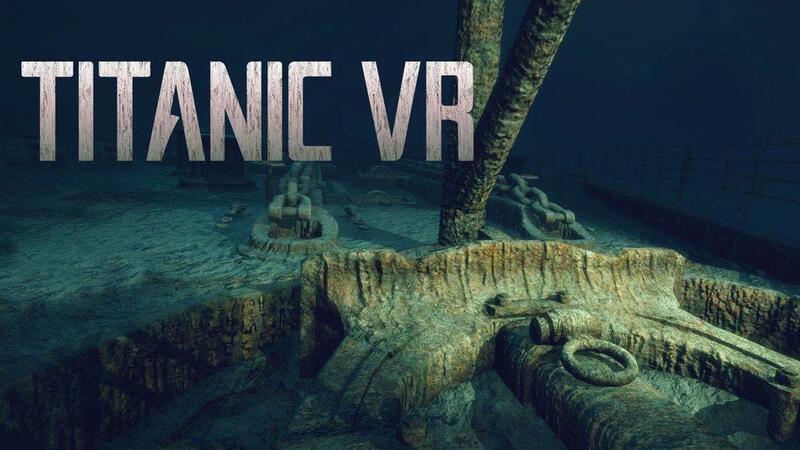 Enter Titanic VR, a new educational experience by Immersive VR Education that brings the sunken wreckage of the RMS Titanic to life once more. The studio worked with the BBC to obtain real life testimony from the survivors themselves, creating an even deeper opportunity for learning about the disaster. Amazon just launched a new product to make creating AR, VR, and 3D apps much easier, quicker, and cheaper. With the new Amazon Sumerian platform, developers will be able to build and host their apps on all the devices you could want. The product is free to use, and users will only pay for storage. We're excited to see how far their users will be extending our reality. Remember the mid '90s? Yeah neither do we. Even still, you may recall a game called Desert Bus. It was possibly the most boring game ever made. An intimate look into the work life of a bus driver, driving for about 8 hours down a long desert road from Las Vegas to Tuscon, AZ. Well—in 2017 fashion—it's now available in VR. Because the only thing better than desert driving on screen is an immersive virtual desert driving experience. Plus it's free, so you can't not try it. You may just find it as perfect as Norwegians find Slow TV.